Jun Yang, born and raised in Seoul, South Korea, has made San Francisco his home for the past 10 years. 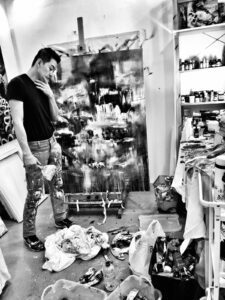 The City inspires Jun and his art with its cultural diversity, celebrated urban landscape, natural beauty as well as the socially inclusive culture which provides support and protection for an artist. Jun is a self taught, multifaceted and resourceful artist who uses a broad range of techniques and materials creating art pieces in a variety of sizes and locations, from intimate canvases to full scale murals. 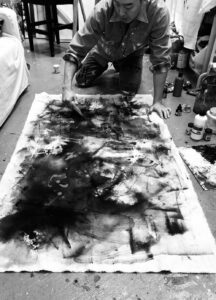 Jun has shown his work in numerous national and international exhibitions in San Francisco, as well as Graz, Austria and Seoul, Korea. Jun’s work seeks to evoke emotions through his use of space and colors. Jun’s art speaks to viewers across cultures and continents in a unique way, transcending the need for common language. Each piece is incomplete until the viewers contribute their own contexts to the artistic conversation. 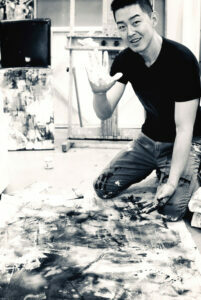 Jun Yang – The artist, The work and The Exhibition. Feb, 14th – May, 19th 2019. Mar, 10th -Apr, 10th 2019. Opening Reception will be in Dec.